Join my team in August and add Holiday Catalog items to your Starter Kit. The new Holiday was made available to all demonstrators to order from and it’s full of the some of the most beautiful fall, Thanksgiving, Halloween, and Christmas products. You’re just going to love them. Want a sneak peek? 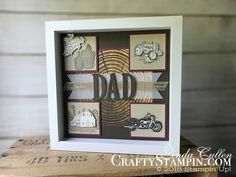 Join Tami and I as we reveal products from the catalog on the Stampin Scoop Show Friday at Noon. Get your own copy of the Holiday Catalog on my Catalog Page. Join my team during August and you can add Holiday Catalog products to your Starter Kit. See my Join Now page for more details. You will receive your own copy of the Holiday Catalog in your Starter Kit. 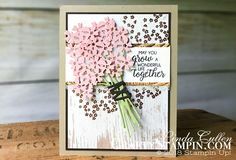 The Stampin Scoop will be broadcast live on both Facebook and YouTube and Noon August 3rd. Watch live to join in on the fun and win prizes!!! You can still win if you need to watch later and catch the replay. Wow and Wow, what a preview—so many things and paper and lots more—thanks for showing and sharing. Love it!